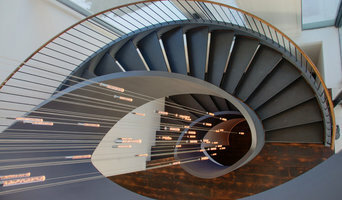 Arcways, a staircase manufacturer, designs, builds and installs custom curved staircases, spiral stairs, and circular stairways for residential and commercial projects throughout New York City. 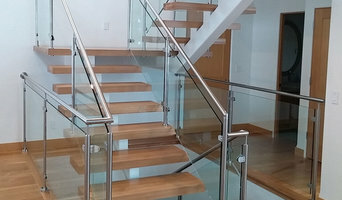 To create a custom staircase for your New York City building project, we use wood, steel, stone, and glass components. We work closely with architects, interior designers, builders, and homeowners throughout New York City to design and build the perfect curved, spiral or circular staircase. Arcways makes it easy to design curved stairs, spiral staircases and circular stairways using CAD drawing programs. Our balusters, handrails, railings and stairs are featured in Chief Architect. For staircase design ideas and examples of our work, visit the following galleries. Kinzel Wood Products manufactures high quality wood stair parts, stair box newels, large turned newel posts, wood stair handrail, handrail fittings, stair tread, starting steps, wood balusters and more. High quality wood stair parts made in USA. We are your source for cost effective accessibility solutions for the handicapped and physically challenged individuals throughout the greater Southeast Wisconsin, Northern Illinois and Northwest Indiana area including the Milwaukee, Madison, Fond du Lac, Chicago and Gary Indiana areas. Our products range from wheelchair ramps and lifts to home elevators, porch lifts, vehicle ramps and lifts, stairlifts and much more. We have the right solutions for both caregivers and the physically disabled to enjoy greater independence in daily living at the highest level of safety. Extruder/fabricator of code-tested, easy to install PVC railing systems.